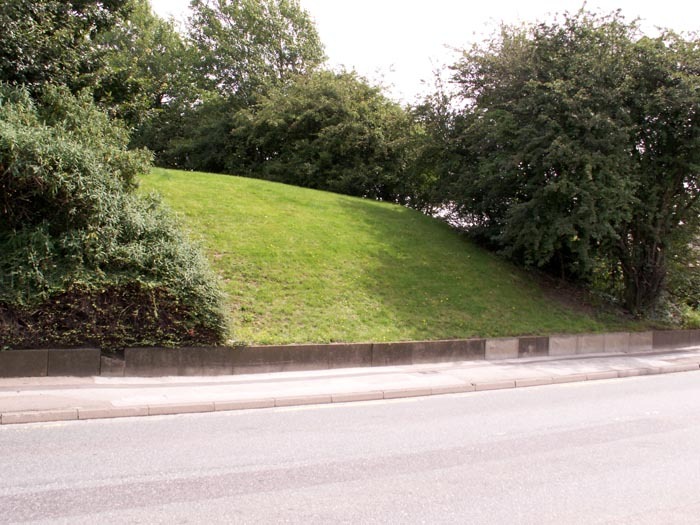 Short Heath station was opened by the Wolverhampton and Walsall Railway on their Wolverhampton to Walsall line in 1872 off Clarke's Lane, a short distance from Willenhall Stafford Street station. 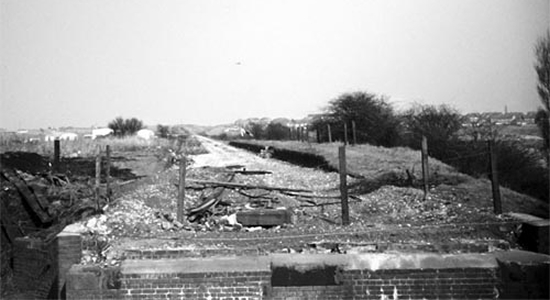 With poor patronage over the line, the station was finally closed under LMS ownership in 1931. Above we see the station site, with the track lifted and Clarke's Lane bridge parapet removed (in the immediate foreground) in March 1969, looking in the direction of Bentley station, which had closed some six years after the line's opening and onto Walsall (photo: D.Bathurst). 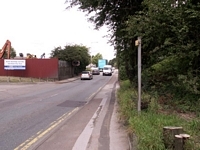 Standing on Clarke's Lane today, no sign of the bridge remains as we see above-left: the bridge would have crossed the road roughly where the rear of the car is to the left-centre of the shot with the station being sited to the right. 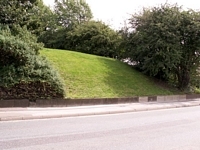 Above-right we see all that remains of the line at the station site, this cut-back embankment that would have fronted onto the bridge with the station sat at the top. 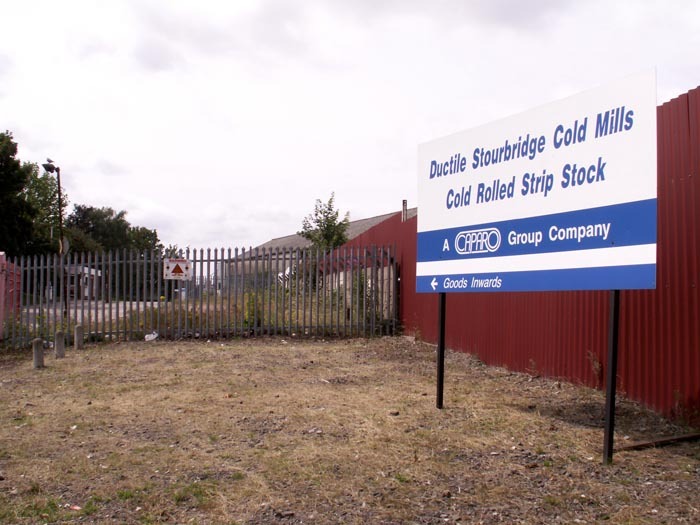 Immediately to the left in this shot is Willenhall No.3 Fire Station, the compound of which borders the railway. 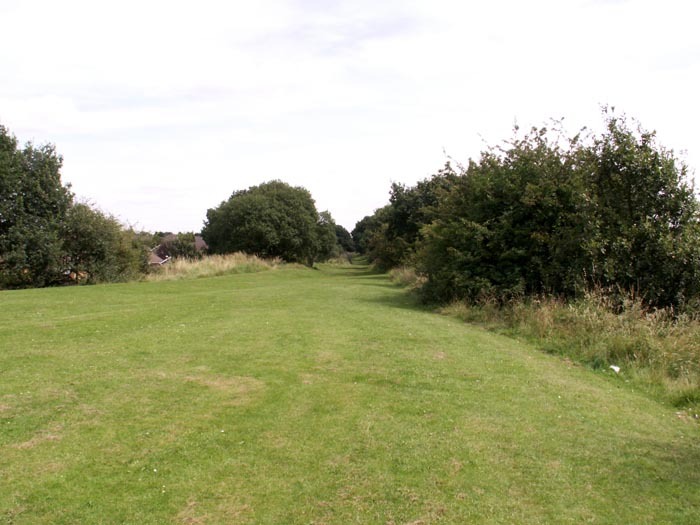 Having clambered up the bank seen above, this view shows the trackbed as the line headed off towards Walsall. 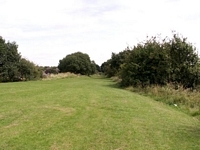 Above-right is the reverse view, showing nothing remains of the trackbed in the direction of Willenhall Stafford Street.